The humble drop cloth, necessary but a bit boring; isn’t that how it is? For many one drop cloth is like all drop cloths with the only difference being price. But that isn’t exactly true. 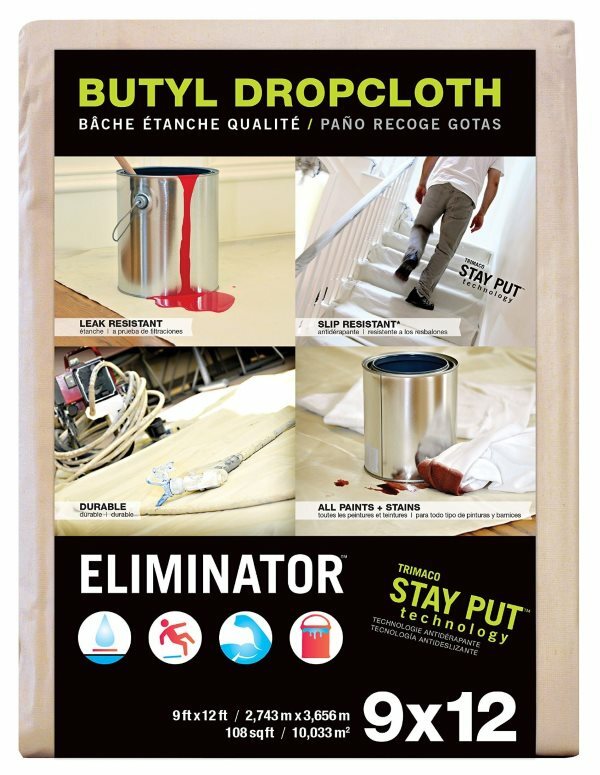 This review is for the Eliminator Butyl drop cloth by Trimaco. Trimaco provided a 9×12 drop cloth for the review but didn’t really need to. I own several of these, a dozen or more, in different sizes and use them for interiors and exteriors. When they are nice and new they are used inside then graduate to exterior use when they get a bit dirty. 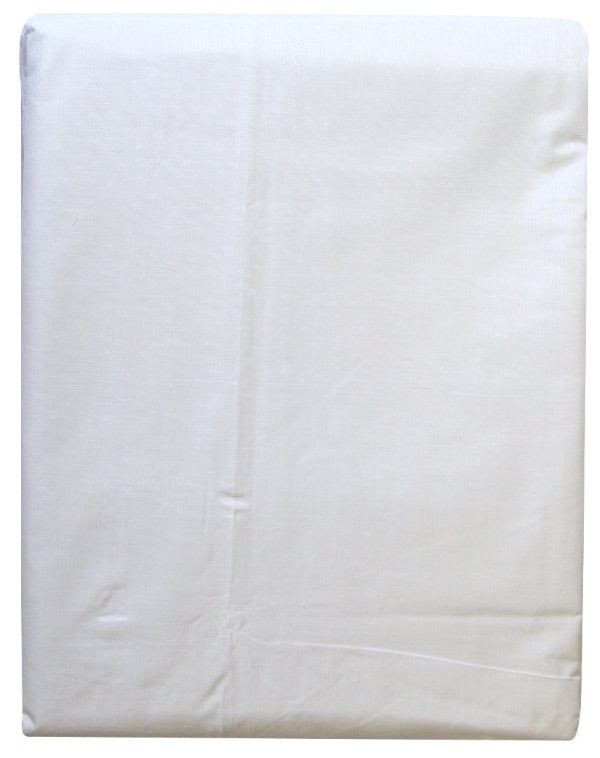 This drop cloth has several advantages over other brands or types. Butyl Backing – This is a rubber backing that is resistant to paints and stains, both latex and oil base. No more worries from spatters or spills. Slip Resistant – This is just as important as leak resistant. A regular canvas drop cloth on a hard floor, ceramic tile or hardwood, is downright dangerous. Ladders will slip and so will you. Slip resistance is also very important for stairs. Eliminator drop cloths stay put lowering the possibility of tripping or slipping. Durable – These are really durable and will last a long time. Typically I will get several years of use from these drop cloths. 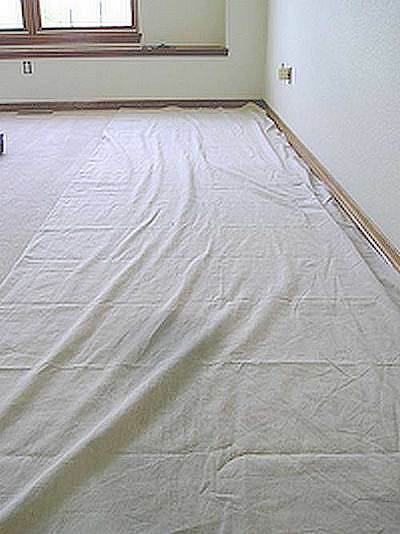 For us a good drop cloth is essential and the Eliminator Butyl backed drop cloth by Trimaco fits this need nicely. They are high quality at a good price. We have gotten a lot of use from these drop cloths and will continue to purchase and use them as a primary way to protect our customers flooring and furnishings. 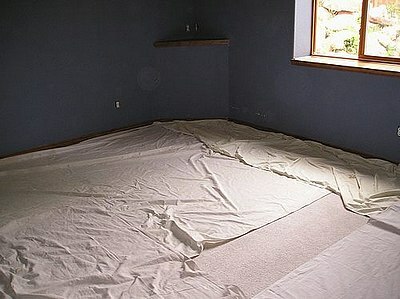 The 9×12 Eliminator drop cloth used for this review was provided by Trimaco. Check out the Trimaco.com website for more information about their comprehensive selection of painting products.